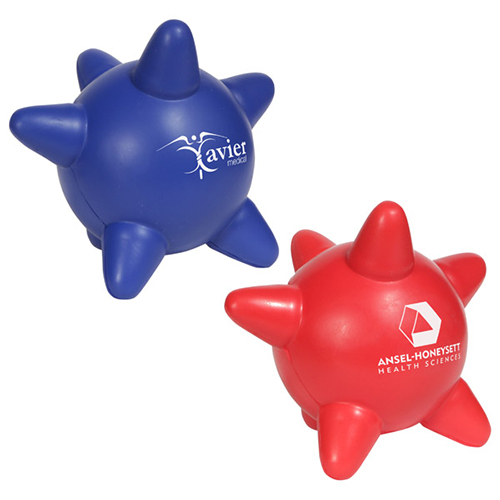 Our bright red and blue Blood Platelet stress balls can be ordered individually or assorted. You can custom imprint a blood platelet stress reliever with a business message. Hand out a blood platelet stress ball at industry shows and have a promotion that sticks around. Item Size : 3-3/4" dia.